O.K…so I don’t know about you but once I hit my mid 30’s all of a sudden I started getting silver hair on my head and a patch of 8 unwanted black hair cropped up on the corner of my chin. Apparently those hairs got lost because they should be on the top of my head! 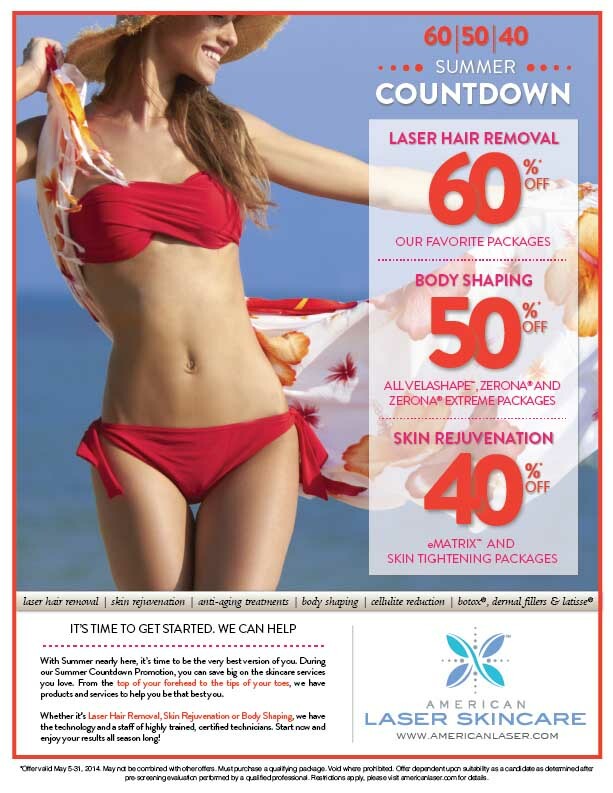 So a few years ago I began researching laser hair removal and never really felt like I found a place that was right for me and also in my price range. And the groupon horror stories kept me from going down that route! I was happy to find myself at American Laser in Long Beach for session one! I will be doing a total of 8 treatments….eeek!!!! Before I got my treatment I sat down with the Manager Carime and asked a ton of questions because I knew if I had questions you would too!! American Laser uses an Alexandrite Yag laser so that every type of skin can be treated. It’s the Candela gentle max pro and is a 250,000 dollar machine!! The good news about these new lasers is that they require much fewer sessions. For most people the norm is 6-8. In the past with the old machines you could end up needing 20-30 sessions. Treatment options: 2 options so anyone can be treated with the only exceptions being white or grey hair. So…here I am 3 weeks later and I have literally only shaved my under arms three times since my first laser treatment! Which when you have dark and slightly coarse underarm hair you basically have to shave every day! I can’t believe how well it’s worked after only one treatment! I actually have hope that when I am done I won’t ever have to shave again! If you are thinking about laser hair removal and wondering if it’s right for you: go for it!! I’m so happy I started this journey and I can’t wait to keep you posted about the results!!!! I am also chronicling this experience on my youtube channel so head on over to http://www.youtube.com/aglitterylife and watch to see if it hurt or not! And if you are in So Cal you have to head over to American Laser in Long Beach so they can hook you up with a killer deal and great service!!! On top of their already great packages and discounts they will give you an additional 20% off for mentioning this blog or my youtube channel!!! You won’t find better prices or better service! Leave me a comment if you want me to review any of their other services!!!! Next NARS ITA brush news flash!!!!!! !